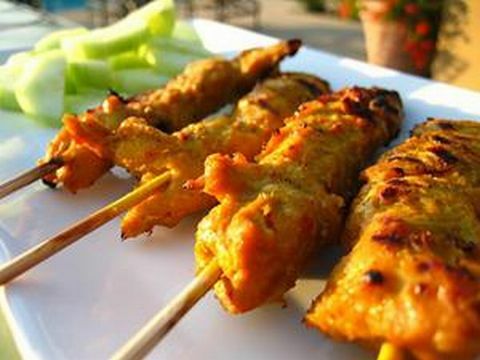 Thai chicken saté is a classic and also very popular dish. 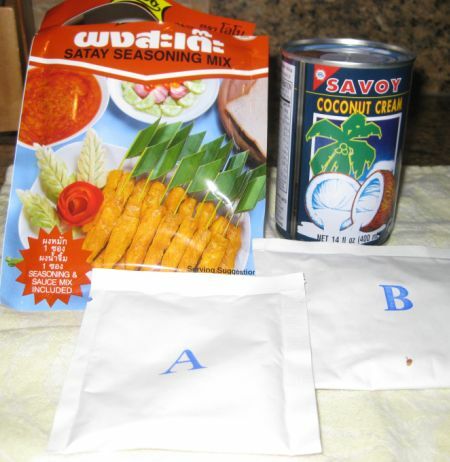 You will find the Thai chicken saté in any Thai restaurants. Here in the states restaurant usually use white meat but I prefer to use dark meat (Chicken thighs) just because it is juicer and more flavorful than white meat.. Chicken saté is basically grilled tender slices of skewered chicken marinated in a mixture of turmeric (which gives the dish its characteristic yellow color), curry powder, and coconut milk and served with a peanut dipping sauce and cucumbers salad. 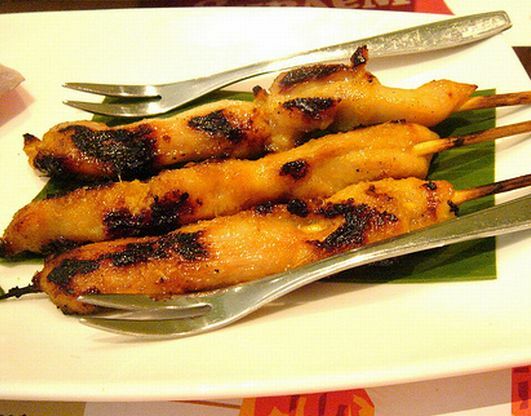 This dish is also fun to eat for the kids because the chicken is skewered so they can run while holding the chicken sate skewer. Whenever I served chicken saté there is never any leftovers....I guess they are very tasty and fun to eat. 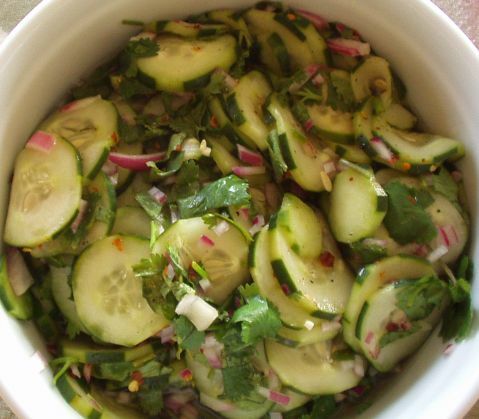 The marinated cucumber salad is a must when serving the chicken saté. They go very well together. 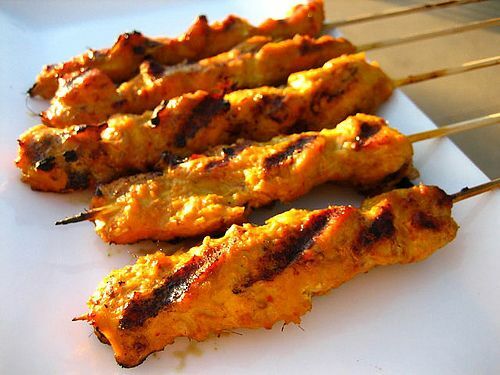 I use premade saté (or satay) seasoning mix. The pouch came with two envelopes, A & B. 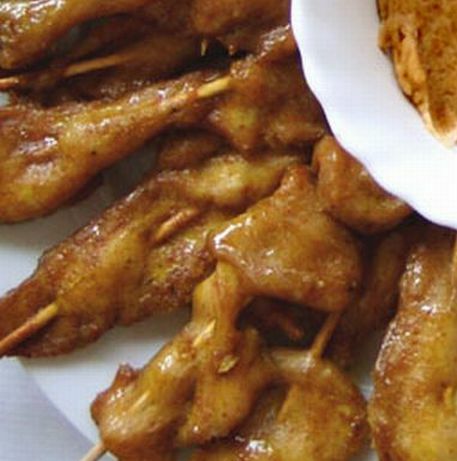 A is to marinate the meat and B is the peanut sauce. 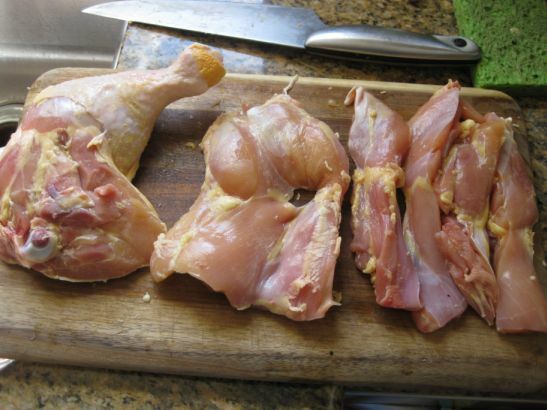 I use the whole thighs, deboned it and the cut it into 4 strips. 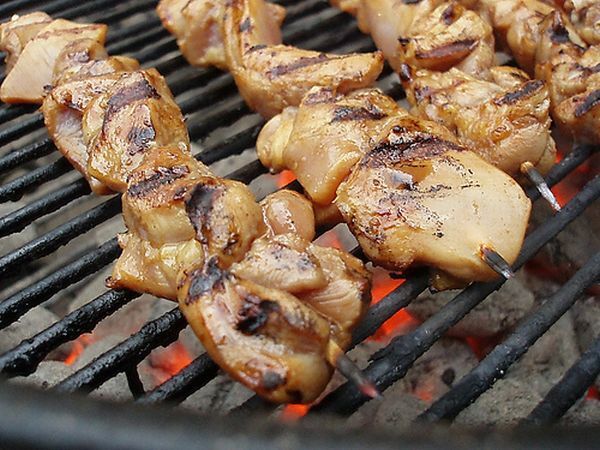 Next the meat is marinated for about 1 hour or so then they will be skewered and ready to be grilled. 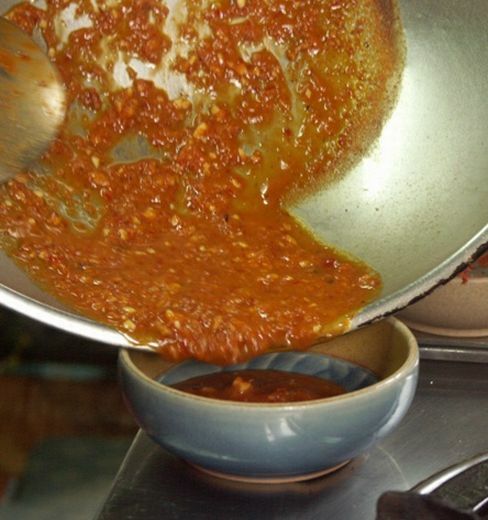 Here I am preparing the peanut sauce. 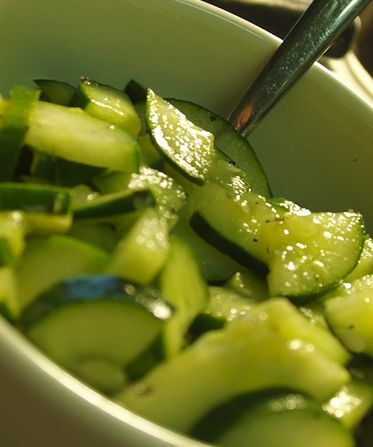 Cucumber are cut into slices. Next, read onion are chopped and added to the cucumber and then a fish sauce is added. Next the chicken is grilled and then it will be ready to be served. 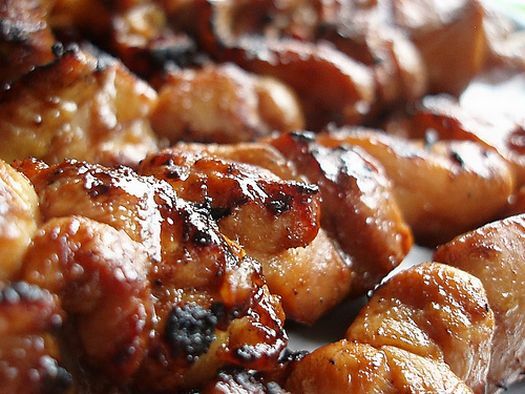 Usually people just gather around the Barbecue and just sample a couple skewers before I even have the time to plate it.